Polyeco Contemporary Art Initiative supports artist George Drivas who represents Greece at the 57th Venice Biennale with the video installation Laboratory of Dilemmas, curated by Orestis Andreadakis. Laboratory of Dilemmas is a narrative video installation based on Aeschylus’ theatre play Iketides (Suppliant Women), which poses a dilemma between saving the Foreigner and maintaining the safety of the Native. Addressing current global sociopolitical issues, the work deals with the anguish, puzzlement, and confusion of individuals and social groups when called upon to address similar dilemmas. Aeschylus’ Iketides (Suppliant Women) is the first literary text in history that raises the issue of a persecuted group of people seeking for asylum. The Suppliants have left Egypt to avoid having to marry their first cousins and arrive at Argos seeking asylum from the King of the city. The King is then faced with a dilemma. If he helps the foreign women, he risks causing turmoil among his people and going to war with the Egyptians, who are after the Suppliants. But if he doesn’t help them, he will break the sacred laws of Hospitality and violate the principles of Law and Humanism, leaving the Suppliants to the mercy of their pursuers. Laboratory of Dilemmas focuses on the play’s dilemma through the excerpts of an unfinished documentary in the form of found footage about a scientific experiment. This experiment was never completed for unknown reasons, however the found excerpts of the unfinished documentary reveal today, after so many years, details of the experiment, as well as the hopes of the professor who envisioned it and the disagreements with his co-researchers. The story is presented piecemeal through multiple video and sound sources inside a Labyrinth.The acclaimed actress Charlotte Rampling has a leading role in the videos of Laboratory of Dilemmas, along with other well-known Greek actors such as Yorgos Kotanidis, Lazaros Georgakopoulos, Kora Karvouni, Polydoros Vogiatzis, Rena Kyprioti, Panis Kalofolias. 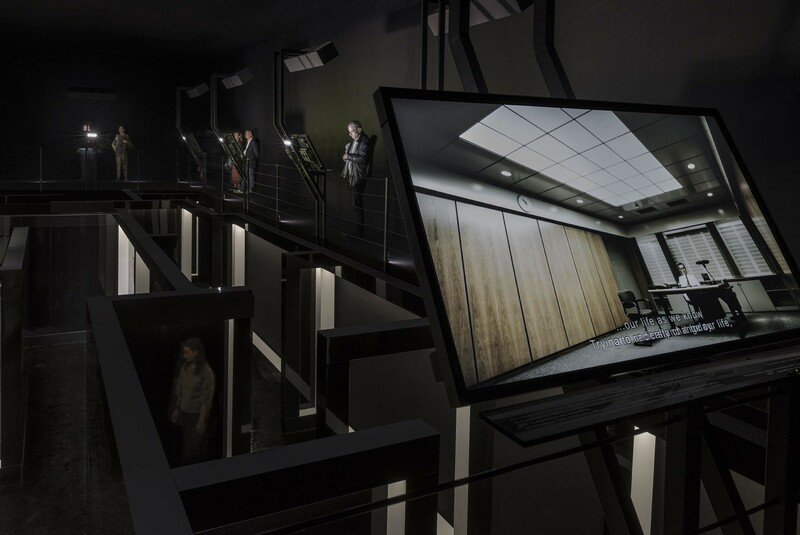 Laboratory of Dilemmas is an immersive video installation that addresses contemporary sociopolitical issues and offers a peripatetic audiovisual experience that may create various different dilemmas to every visitor. George Drivas has also produced Kepler, the first video art commissioned by Polyeco Contemporary Art Initiative. Kepler was created on the occasion of the award of contract to Polyeco by the Global Environment Facility (GEF) for management of pesticides in Tbilisi Georgia 2014. It has been presented in more than 10 international art and film festivals.